Kendall-Jackson wines are known throughout the world, but Jackson Wine Estates, a collection of numerous labels, was looking for a way to attract new customers to mature into high-end wine drinkers with brand loyalty for their specific labels. The challenge they faced was a serious one. How could they engage wine consumers in a way to capture enough information to begin to genuinely understand them and grow them as consumers? Their visionary marketing team hit upon an idea. Wine geeks have one thing in common, a fascination with wine and a hunger for knowledge about it. In fact, many desire an affirmation that they are (or have the potential to become) wine aficionados. This knowledge sparked the idea for an online wine IQ test as a gateway to their marketing efforts. Jackson Wine estates asked Destination Analysts to develop custom market research to help implement this vision. 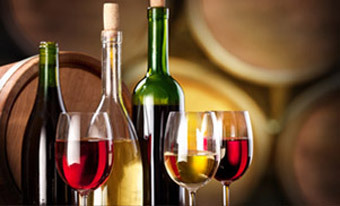 Destination Analysts developed a plan to create The “Ultimate Wine IQ Test.” This online “test,” really a customer acquisition tool, was promoted widely on wine-related websites and through keyword advertisements to attract the attention of wine enthusiasts. It drew them into a fun game-like environment where they answered wine knowledge questions. Users learned their wine IQ score after taking the test. The cleverest part of Destination Analysts’ design was a section in the test asking about a person’s wine personality. This set of questions gathered information designed to categorize the type of wine drinker taking the test. What are their preferences? How sophisticated are they? How important is wine to their lifestyle? The combination of Jackson Wine Estates vision and Destination Analysts’ technical know how and expertise in custom market research and web design has left the wine merchant with an extremely powerful and previously unthinkable tool for gathering and segmenting customers for their marketing efforts. Hundreds of new wine enthusiasts take the test each month, with many inviting their friends to join them and test their wine knowledge as well. The resulting detailed consumer knowledge is the basis for the company’s current and upcoming marketing efforts. I contracted with Destination Analysts to create a new tool to help sort potential wine buyers by interest and wine knowledge. Once sorted I could better determine a higher level of personalization for the more than 40 wine brands we owned. The result was the Wine Learning Center, and its centerpiece, the Wine IQ Test. Destination Analysts not only delivered on time and under budget but the tool was cutting edge. It helped us begin using basic CRM techniques for the first time in the America Wine Industry.